What Do We Eat? Beefiniroom Casserole! 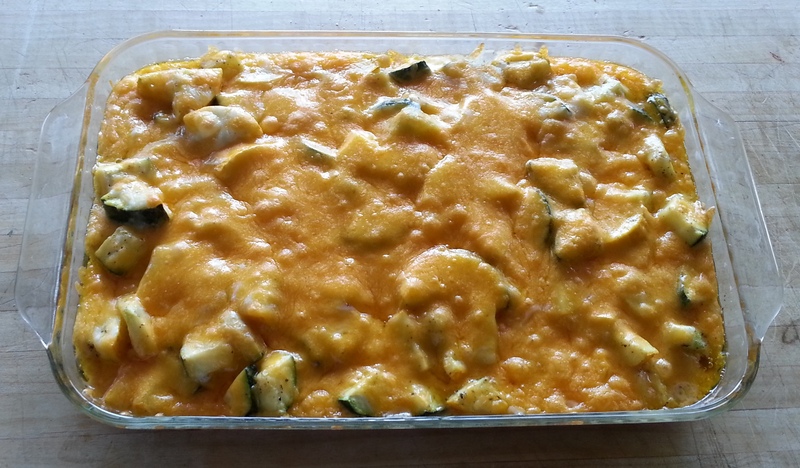 Tonight was “dad’s night to cook.” We just picked up some fresh zucchini and yellow squash from the local farmer’s market last night (I stuffed and barbecued a big one last night for supper), had some hamburger thawed in the fridge, so I probed my memory and decided on a casserole. The recipe is fairly simple, brown a couple of pounds of ground beef and set aside. Slice and sauté a couple large squash in olive oil, I use oil grown by my friend Irv Leen of Gold Rush Farms, and set aside. Mix thinly sliced mushrooms, a couple of cups of sour cream, a cube of melted butter and a roll of crushed Ritz crackers with the beef. Spread the beef evenly in the bottom of a 9 x 14 casserole dish. 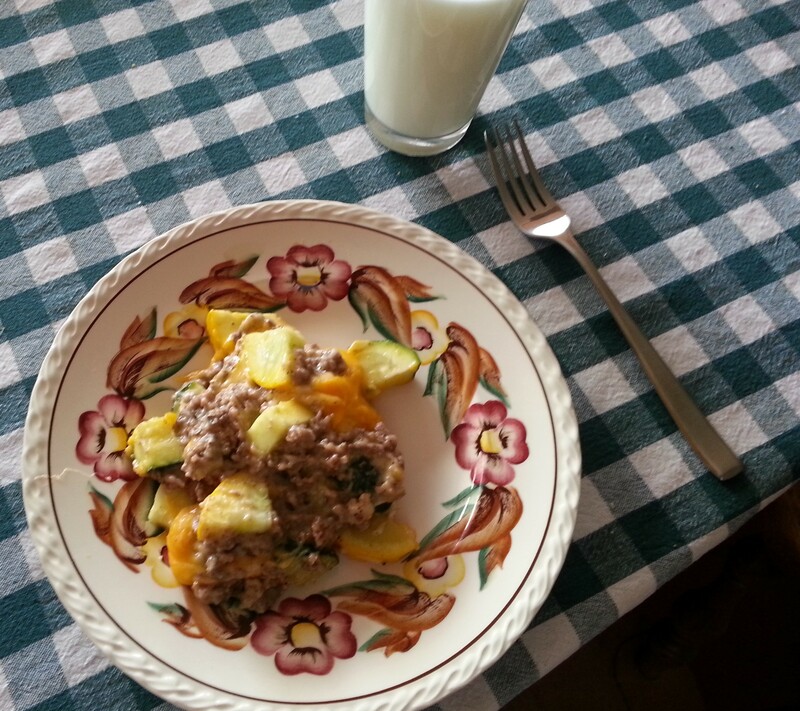 Spread the sautéed squash on top of the beef and then add a couple of cups of shredded cheese over the top. Place in the oven at 350 for about 20 minutes and supper is served! 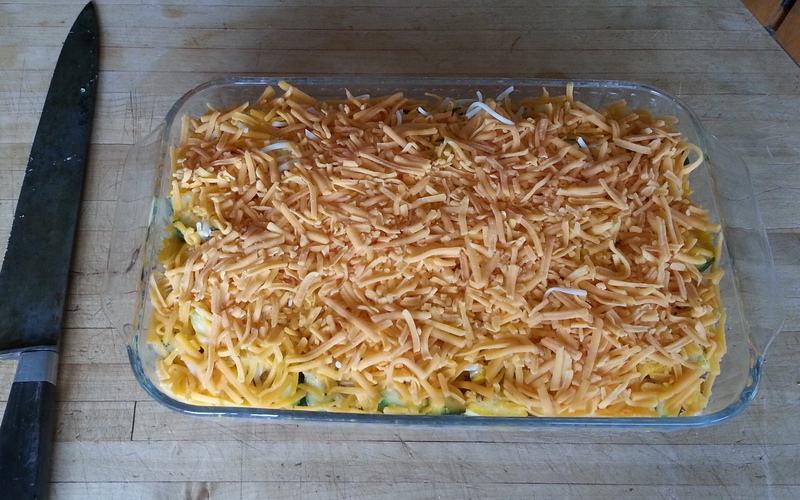 Now you are probably asking yourself, what in the heck does this have to do a squash casserole? Well, remember that ground beef I used, here is the back story.